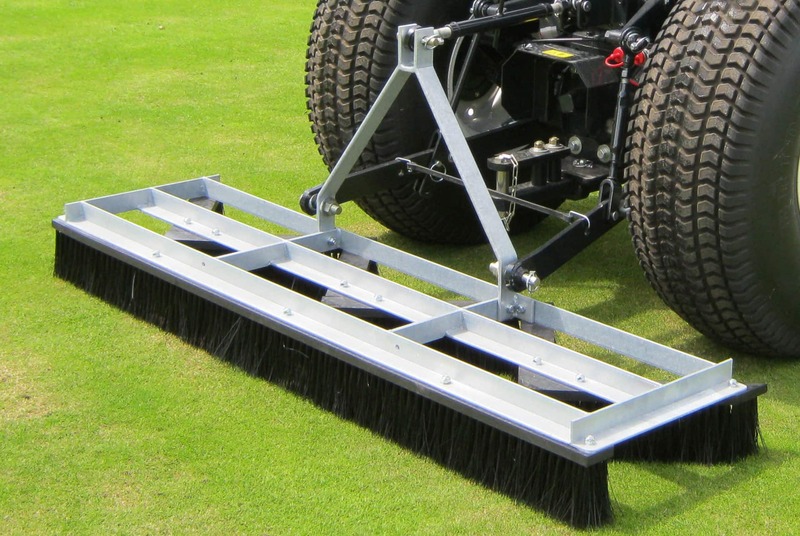 The RAYCAM™ Triple V Brush is a tractor mounted implement for brushing in top dressing removing worm cast, standing up grass prior to mowing and general presentation on natural turf. 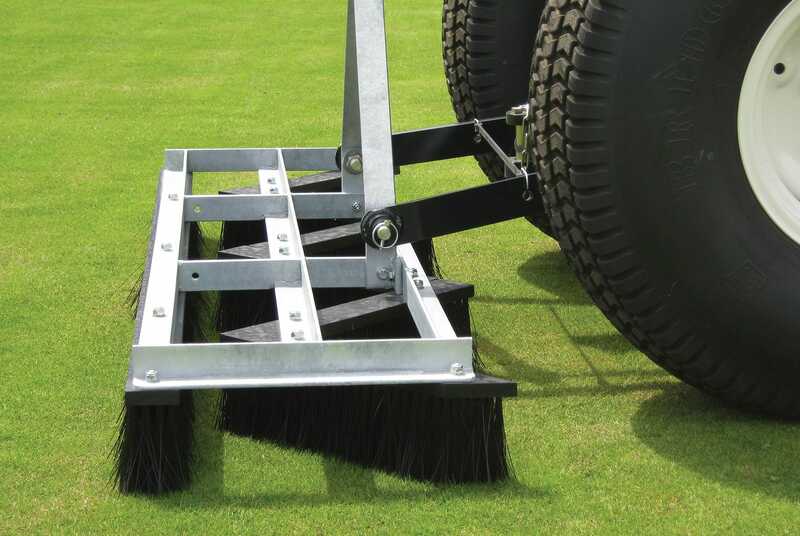 The V Brush is also suitable for use on sand-filled and 3G synthetic pitches for taking out scuffs & foot prints, re-distributing infill and promoting a vertical sward. 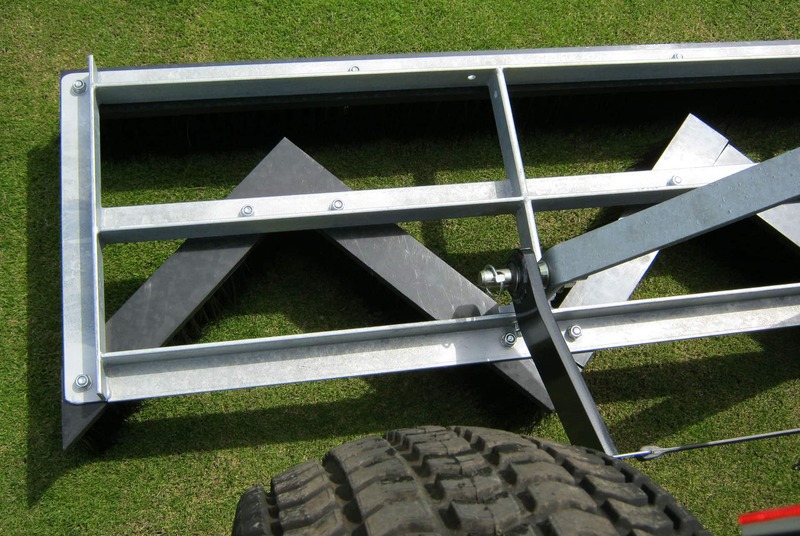 The reversible mounting frame enables the V Brush to be mounted on the rear or front linkage on tractors of 18hp and above. 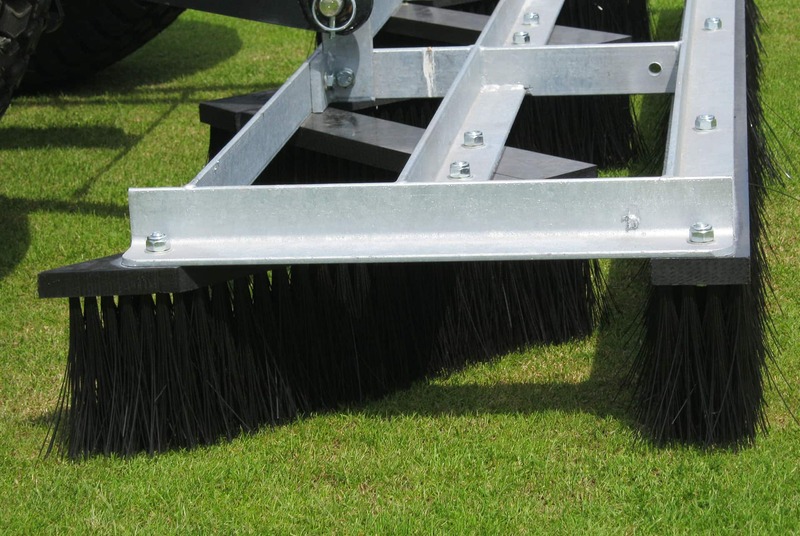 Individual brush sections can easily be replaced when worn.